A New Standard of Window Performance. Until recently, most window tinting films and glass coatings made to reject heat were tinted dark, used metal or were highly reflective. As a result, many businesses did not use these films in order to preserve the appearance of their building and windows. On top of having a poor appearance, metal tinted films were susceptible to corrosion and interfered with mobile phone reception. 3M Sun Control Window Film Prestige Series has no metals and has a clear appearance. They are the first films to offer a variety of selections to eliminate these problems and perform to the industry’s highest standards. With 3M Sun Control Window Film Prestige Series, your building’s exterior stays beautiful and the interior window remains unobstructed. NuVision Window Films proudly offers these products for Wisconsin businesses to keep out the sun without ruining the view. We have installed quality window tinting films for the building and construction industry and our references are impeccable. We are frequently referred by architects, general contractors, interior designers, glass and glazing contractors, ESCO’s, green builders, facility managers and property owners.  In fact, we’ve introduced the 3M Referral Agent Program to continue to reach new businesses and homeowners looking to improve their property with window films. For most businesses, there are two primary reasons for installing window films: rejecting heat to increase comfort and providing fade protection from damaging UV rays for furnishings. These films do both remarkably well. Tests prove 3M Sun Control Window Film Prestige Series are unsurpassed and rejects up to 97% of the sun’s infrared light throughout the day. During the hottest times of the year, this keeps your building cool without the need for extra air conditioning or fans. By keeping the heat down, you’ll lower your office energy bills as well. Furniture, carpet, and paint are all susceptible to fading when exposed to ultraviolet sunlight. 3M Sun Control Window Film Prestige Series is designed to reduce the effects of solar heat and visible light on your furnishings. Your office appearance will be preserved, saving you money on replacement chairs and carpeting over the years. When the sun is working hardest, NuVision coatings like 3M’s Daylight Redirecting Film are performing their best. Creating a clear window film with all these advantages wasn’t easy.  It required the world-leading, nano-technology laboratories of 3M. Nano-technology works with materials that are over a thousand times smaller than the width of a hair. This expertise allows the patented window film to have hundreds of layers with less thickness than a Post-it® Note. Inside and out, you’ve made a serious investment of time and money in creating a beautiful business. Yet if the sun makes your building uncomfortably hot or fades your furnishings, all your efforts will be diminished. With these prestigious films installed by NuVision, you can enjoy the benefits of a world-class window film while leaving the beauty of your business virtually unchanged. 3M Thinsulate is one such film which mixes beauty with function. The coating blocks harmful UV rays without ruining the view from your windows. It helps regulate interior temperature, reducing energy costs from heaters and air conditioners while also keeping everyone inside comfortable. Privacy is important for modern businesses. Privacy window film will stop people from peeking into your workplace. Unlike blinds and curtains, sunlight can still come in through these films. This will keep your workers happy and productive as they get to enjoy natural light instead of being stuck in the dark. Privacy window film has the additional benefit of deterring theft, as criminals won’t be able to scope out the site if they cannot see inside. Ask our experts about additional Safety and Security Window Film Coatings. One-way mirror film is another popular option for privacy. Many retail locations use one-way mirrors to allow employees to monitor the cash registers from Employee Only offices. They can see out perfectly while customers only see a mirror. Contact Our Window Film Installation Professionals For A Free Business Installation Quote Today.